Creating a framework is good for me to keep track where my money comes from and where it goes. 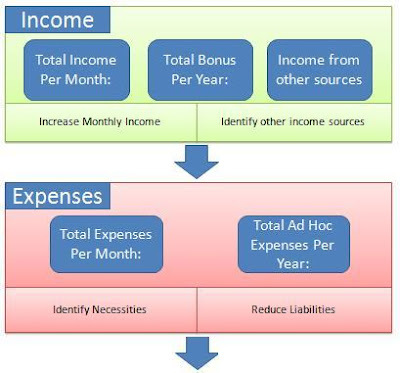 You can see from the diagram, I have stated what are the things to be done in each of the five core areas namely Income, Expenses, Saving, Buying Asset and Passive Income. I will concentrate on increase my monthly income and find other income sources. I will identify what are the necessities and try to reduce my liabilities. I will split my saving into two portions. One portion will go into my investment, and the other portion save inside the bank. 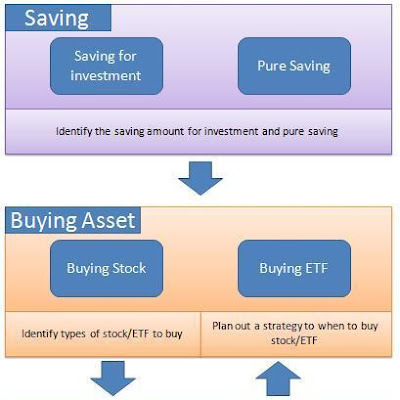 I will identify what shares or ETFs to buy, and plan out a strategy on when to buy. I will use the dividends for reinvestment.